All eyes, or at least all eyes of the Overland-reading variety, have been on Egypt and Greece these last weeks, and quite rightly. That’s where a revolution fights for its life; over there’s where the whole neoliberal project for Europe faces its fiercest resistance. There’s lots to learn. For leftists in this region, though, there’s good reason to pay closer attention to what’s happening in Japan. For too long, Japan has seemed like an anomaly amongst the advanced capitalist states. After the extraordinary burst of student and worker radicalism through the 60s (and its tragic dénouement in the bloody sectarian intra-left battles that cost so many lives so needlessly through the 1970s and 1980s), Japan seemed untouched by the rebellions and anti-capitalist energies that transformed the last decade. Two decades into a post-bubble period of stagnation and economic stress, the outlook was bleak: a fractured antiwar movement faced the well-organised and slick Koizumi; altermondialiste currents confined themselves to the fringes; unions continued to decay. End-of-decade membership ruffles to one side, the once-mighty Japanese Communist Party continued its electoral decline. What was happening? If William Gibson was right to say that something of the future is pictured in Japan (and I think he was), what might the warning be for the rest of us? Well, measurements become an issue. In politics and social movements, as with so-called ‘popular culture’, the West got into the habit of seeing what it was already arrived looking for – and those of us on the Left weren’t wholly immune from this habit. (Patrick St Michel’s close reading of Kyary’s Pamyu Pamyu’s ‘PonPonPon’ – of all things – is illuminating here.) Just as ‘weird’ Japan makes sense if we take the time to learn its messages and puns, there were signs of resistance in Japan waiting to be decoded all through the last decade. And now the situation is changing, quickly. Since the disaster at Fukushima last year, a vibrant protest movement against nuclear power has developed in Japan and it’s transforming the political culture. The social and personal cost of the earthquake and its aftermath – and the inequalities and injustices rebuilding plans exposed – have made the issue of nuclear power one that forces itself upon all other social questions. Every demand around nuclear power is, in its way, a transitional demand – David McNeill’s report from Fukushima one year on gives some sense of why. The antinuclear movement represents a profound departure from the norms of the post-bubble, depoliticised social order. Take these placards, which play punningly on Noda’s name and on a slogan of refusal. 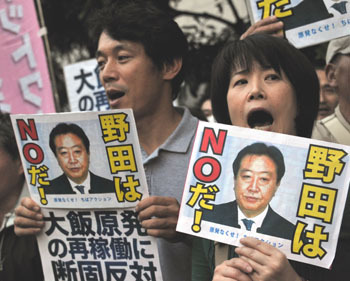 I’ve suggested elsewhere that Japan’s new protest movement opens up a space beyond or after ‘post-politics’, whereby what was (carefully, and deliberately) depoliticised under Koizumi might once again be the object for public confrontation and contestation. Matsumoto Hajime, the organiser of one of 2011’s mass anti-nuclear protests, told the New York Times that he felt the country was ‘on the cusp of something new’. The struggle is now entering a new phase. Prime Minister Noda announced earlier in the month that the Oi nuclear plant will be reactivated. He does so in the face of widespread public opposition, with three-quarters of respondents to one poll expressing disquiet. 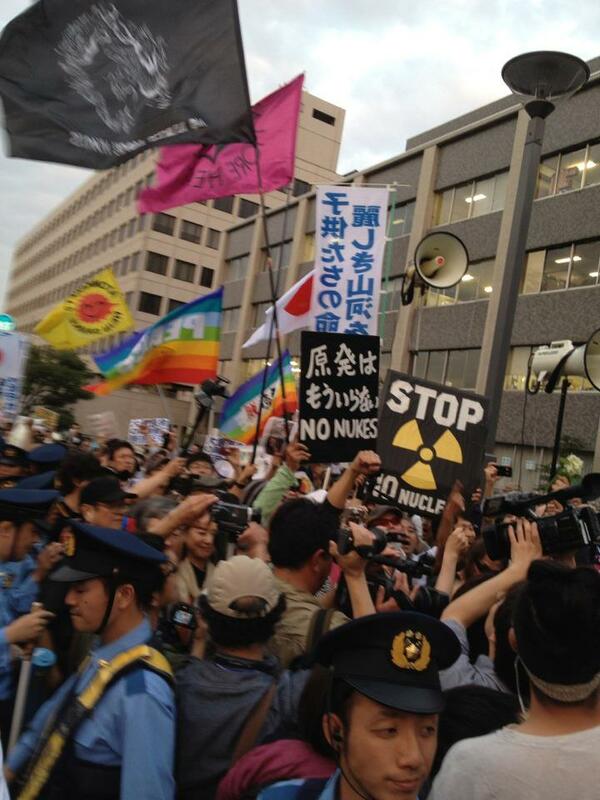 Reactions to this announcement show the strength and new politics of the anti-nuclear movement. I spoke with Kunitomi Kenji, editor of the radical newspaper Kakehashi and a veteran of the Japanese Revolutionary Communist League, last week. He was part of a 10 000-strong demonstration outside the Prime Minister’s office the night before the reactivation announcement, and is organising for another, larger, demonstration in July. ‘Most of those who join the demonstrations are not political,’ he tells me, a change in a country where for years now the old guard of the generation of 1968 have held together many a social movement. ‘The social component of this movement is really varied, from the old generation who experienced the radical movements of the 1960s and 1970s to young mothers, who haven’t had any experience of political and social activities.’ Kunitomi-san sees a ‘primitive anti-capitalist consciousness’ amongst the young people involved, especially those who come to the movement with precarious employment. This is not the only one demonstration we’ve had in Japan. When you look at the past demonstrations throughout the year since the disaster, it is very clear that people are starting to act on it. It used to be very rare for Japanese to take action: It used to be considered that protests and demonstrations were only for the limited few…[and were not] the right of the people. But since the disaster, demonstrations have taken a different turn. They have been growing bigger every time. Many of different sizes have sprung out across the country. The very recent one at the Diet building was probably one of the very few that people gathered on their own, rather than upon request for collective action by trade unions or civil society that they belong to. These were individuals who were truly angry, frustrated and betrayed by the Japanese government, and they acted out. These spontaneous demonstrations have occurred elsewhere, from Osaka (see this report from the Communist Party) to smaller towns. Matsumoto notes the variety and diversity of the crowds, too, seeing in them ‘people power, which we rarely see in Japan. Mothers with babies, young college students, farmers; they are all acting together, and that’s a great force.’ A petition campaign, led by Oe Kenzaburo amongst others, has collected over 7 million signatures. Just as excitement about news of Greek strikes and demonstrations is tempered by reports of the fascist Golden Dawn’s successes, so too Japan’s radicalisation reveals contradictions. The mass anti-nuclear rallies are a product of what Kunitomi sees as a decaying and weakening of Japan’s political mainstream. That weakening has also been exploited by an ambitious far-right politician, Hashimoto Tōru. His Osaka Restoration Association (‘One Osaka’) presents real threats to unions and social movements in Japan more widely. Hashimoto’s success – and, in the regional elections, it has been striking – reflects, according to the National Council of Internationalist Workers’ analyst, Y Kitahata, ‘the dysfunction of parliamentary democracy and impasse of the established political parties.’ Hashimoto has slashed the wages of public sector employees, carried out attacks on the rights of public-sector unions to organise, and has revived older – and, until now, tiring – campaigns around the national anthem, relations with China, historical revisionism and other pet topics of the Japanese ultra-nationalist Right. Hashimoto has waxed hot and cold about his movement building nationally, but it is already acting as a pole of organising attraction for the forces of the far right. Matsumoto talks of a Hashimoto ‘frenzy’, and notes that ‘you can see how there are strong supporters and pupils who are eager to learn his tactics. His cram school for Hashimoto-style politics had a few thousand people as entrants, while other such schools run by right-wing politicians (Hashimoto’s pals) have also drawn thousand others.’ Hashimoto’s style – confrontational, theatrically ‘plain speaking,’ deliberately provocative towards the ‘enemies’ in the unions – draws on a long far-right tradition. A national organisation built around campaigns to smash the unions and the revival of anti-foreigner hatreds ought to cause great concern. Its possibility – and the volatility it in turns draws upon – shows a Japan much more torn than the one we’ve become accustomed to reading about. The nuclear question may prove Hashimoto’s undoing. He had built, or consolidated, support through populist opposition to restarting nuclear power plants, but is now lining up with the rest of the political establishment. In June last year the Asahi Shinbun ran a remarkable illustration in its opinion columns, showing the Tokyo Tower transformed into something like a utopian or steampunk wind turbine, a symbol not only of a post-nuclear Japan, but of a quite different social order. The illustration suggests some of the social changes this movement promises. The Tokyo Tower, constructed, quite literally, out of the scrap of the post-war order, represents a particular era in Japanese capitalism – the boom of manufacturing as Japan grew as a US ‘client state’ through the permanent arms economy – and its symbolic dominance (any physical dominance having long since been lost to the Roppongi skyline) suggests a particular imaginative stasis. The advanced technology of the war industry made it easier to design the high-speed railroad Tokaido Shinkansen, as well as high-tech light vehicles such as the Subaru. Many U.S. made tanks used in the Korean war (1950 – 1953) were transported into Japan in 1954, scrapped, and transformed into high-quality steel, which was reappropriated as building material for the Tokyo Tower in 1958. The destruction of war and the construction of the city go hand in hand, establishing an ironic logic of recycling and the perverse aesthetics of bad taste, that is to say, metataste metamorphosing the most junky and the most disgusting into the most kitsch and the most camp. As soon as the existing standard of aesthetics collapses, the hypercapitalist imperative incorporates the weirdest into the most marketable, the most avant-garde, and the most beautiful. This is the radical paradigm shift in accordance with which we should redefine the industrial effects of war industry as the metaesthetic cause of the postwar processing industry, with iron as its very useful currency. For over twenty years now Japan has been caught in an exhausted version of this ‘hypercapitalist imperative’, as lost decade follows lost decade. There have been plenty of negative symptoms of this, from ultra-right organising to neo-nationalist violence, but few sustained movements of resistance. The anti-nuclear campaign has the chance to transform this situation. We all need to be paying closer attention. Takayuki Tatsumi, Full Metal Apache: Transactions Between Cyberpunk Japan and Avant-Pop America. Durham: Duke University Press, 2006, p. 156. Matsumoto’s speech to Marxism can be viewed here. Photo credit: Matsumoto Chie, via her Twitter feed. Dougal McNeill teaches postcolonial literature and science fiction at Victoria University in Wellington, New Zealand. He also blogs at Nae Hauf-Way Hoose and is an editor of Socialist Review. He’s currently writing a book on politics, modernist literature and the 1926 General Strike in Britain. He tweets as @Lismahago. Thanks Dougal, fascinating, as were the links. 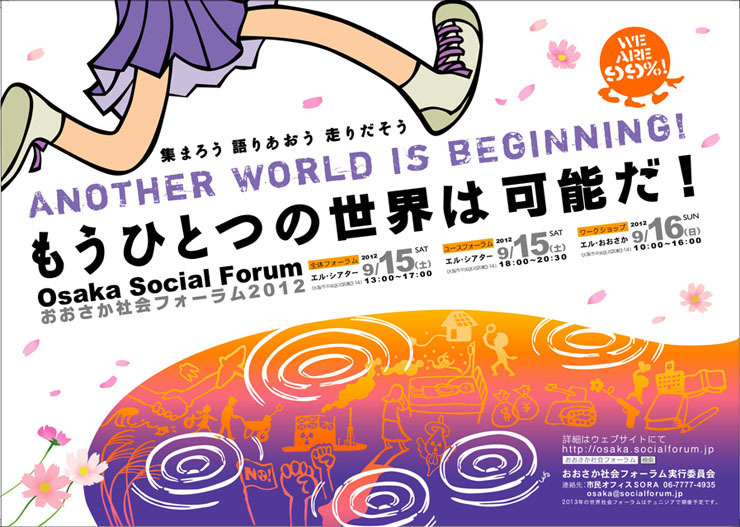 I’m curious about the makeup of this new anti-nuclear movement – who else besides young mothers is it attracting? I’m equally curious about Hashimoto’s supporters/influence. Are the 772 521 twitter followers any real indication of his popularity? The comments on young mothers aren’t the platitude they would be in an Australasian context. Part of what shows that this new movement matters is that its make-up isn’t entirely clear. For the most part demonstrations in Japan, until now, have been filled by clear contingents, and ordinary/dispersed/unorganised people haven’t had much of a look in. Protest has for many years now been well outside of what would be considered possible behaviour for ‘normal’ people. Demonstrations have either involved sterile, ritualised confrontation and violence from the sectarian groups, or dispiriting displays from the older unions. The life and messy energy of these new demonstrations is in stark contrast to this. I’ll try and drag up some YouTube clips to post as a comment to illustrate this. This is partly to do with state repression, to be sure, but that’s worse elsewhere (the south of Korea most notably) without the same results. Big chunks of the Japanese left in the decades since 1968 created a political culture that more or less excluded women. Who else? The Communists and Social Democrats have mobilised big numbers, that’s undeniable, as have the left unions, newer youth-led unions organised amongst the ‘precariat’ and influenced by autonomism, local citizens’ groups. On Hashimoto’s: I don’t know how much to make of the Twitter following, but the support is real. He won in the Osaka mayoral race against a candidate backed by both major parties (and the Communists! ), which is quite something. He’s played a familiar ultra-right line of posing himself as the bold, original truth-teller against the corrupt posers at City Hall. There have been some long-running fights the Right has been winning that he’s ramping up (over persecuting leftist teachers who refuse to stand for the national anthem in particular) and then adding these new anti-public servant touches. Around him are gathering all manner of other nationalist figures – it’s too soon to tell what will come of this, but Kunitomi and Matsumoto both mentioned how Hashimoto had stirred up alienated young people as part of his support base when I questioned them. A real cause for worry. ‘leftist teachers who refuse to stand for the national anthem’ — that’s quite something. Is it ever. They’re an extraordinary group of people – I’d like to write more on their struggle in a future post. For decades after the war Japan’s national anthem and flag had an ambiguous status, and it wasn’t until 1999 that a law was passed making them ‘national symbols.’ Informal compromise arrangements had existed in many schools allowing leftists to absent themselves when the anthem was being sung (to do duties outside the school hall etc). The right – starting in Tokyo with the odious Governor Ishihara (a sort of Abbott/Andrew Bolt-type) – moved on these arrangements and forced a confrontation. There’s been a long, and usually losing, battle through the courts by anti-nationalists. The teachers who keep refusing to stand have risked a lot, and in many cases have lost jobs, pensions, social positions. They’ve swum against a nationalist current in a very principled way. No wonder there’s a renewed anti-nuclear campaign. 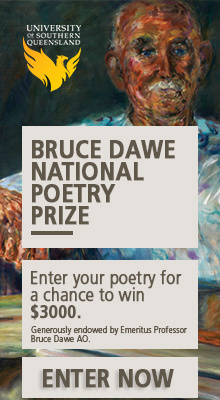 This sounds quite apocalyptic.